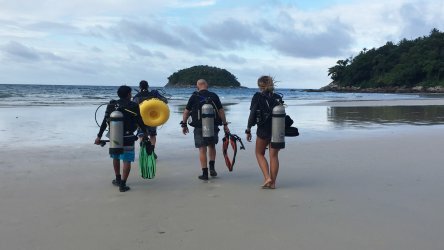 Q: Do I need to be extremely fit to be a dive instructor? A: No. But it helps. 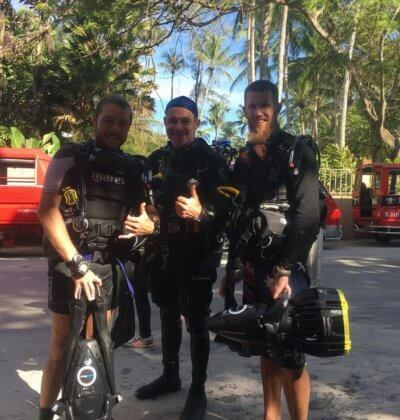 The fitter you are the easier you will be able to deal with the rigors of being a PADI Scuba Diving Instructor. This industry will require you to carry scuba tanks, move scuba equipment and help in a variety of ways around shops and boats. Adding to this, diving is a physical sport, it places stresses on your body and cardio vascular systems, so it’s best these are in good shape before you become an industry pro! Q: I’m a girl, will I need to carry tanks? A: Yes. Everyone pitches in and helps with the physical stuff, if you are someone who thinks men should carry everything for you so you maintain a perfect manicure, than becoming a professional Scuba Diver is not for you, stay in the office. Q: What level of fitness and strength should I have? 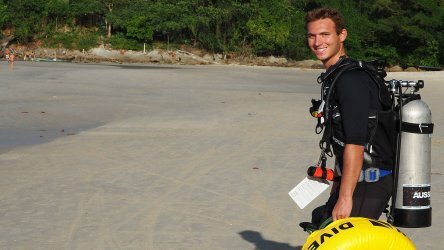 A: Simply put, you should be able to carry 2 scuba cylinders, one in each hand for a relatively short distance. You will need to be able to swim at least 400 Meters in under 10 minutes and you should be able to snorkel 800 meters in under 20 minutes. 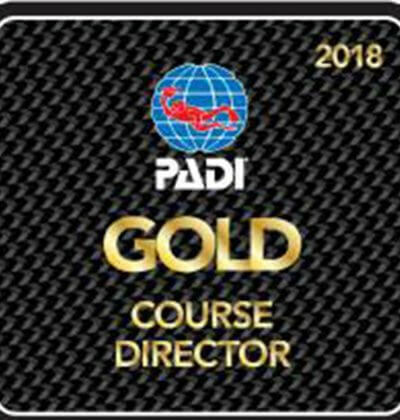 Since these are basic IDC candidate requirements for becoming PADI instructors it’s essential you can do this before starting your IDC. Q: I’m not a very good swimmer, can I still be an instructor? A: No & Yes. You need to be comfortable in the water without scuba equipment, if you are not happy in water without flotation devices you will simply never be a good instructor. 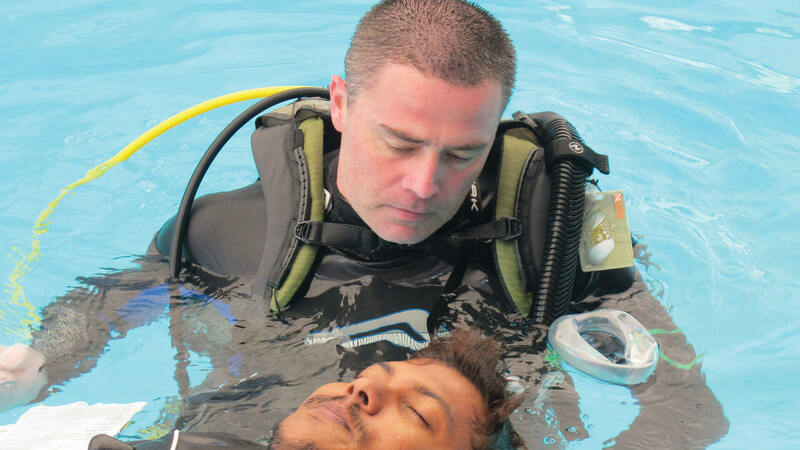 Swimming is an essential part of becoming a good PADI instructor, though it doesn’t necessarily mean you can’t become one. So long as you can pass your two swim tests and meet the other in water requirements you can be an instructor. We highly recommend you practice swimming before starting your IDC or take professional instruction before you arrive if you are that bad at it. We will not provide swimming instruction to IDC candidates. Though we do have swimming coaches available if necessary or on prior request. 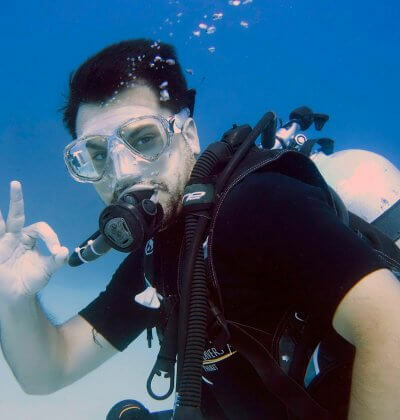 Q: I suffer from Asthma, can I be a scuba diving instructor? A: Depends on the severity, if you are capable of managing your Asthma and you can get a certificate from your doctor then there is no reason you can’t complete the IDC. If you are a sufferer of severe Asthma attacks scuba diving is not a recommended activity full stop. So becoming an industry leading professional scuba diver who spends all day in the water diving might not be the best career change.